This week I’ve been only reviewing some good products, that have come to my rescue during this winter. 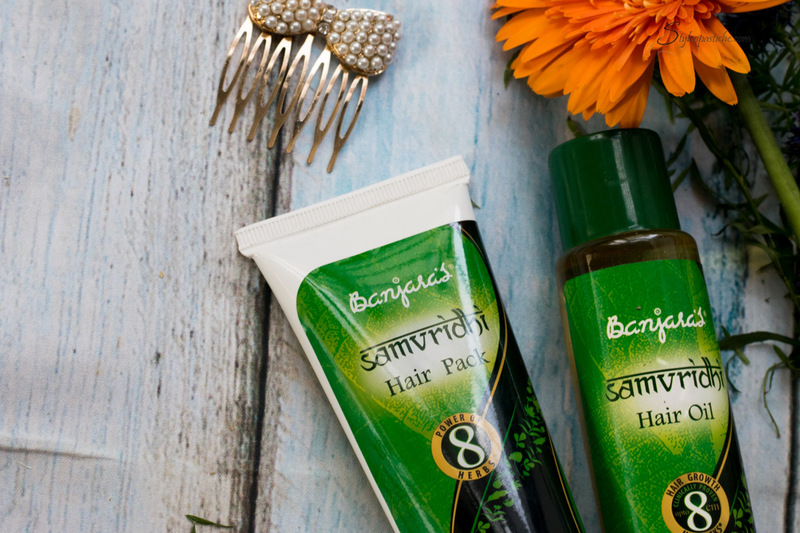 One such product that took care of my dry hair is the Banjaras Samvridhi Hair Oil and Hair Pack combo, which is effective when used together. 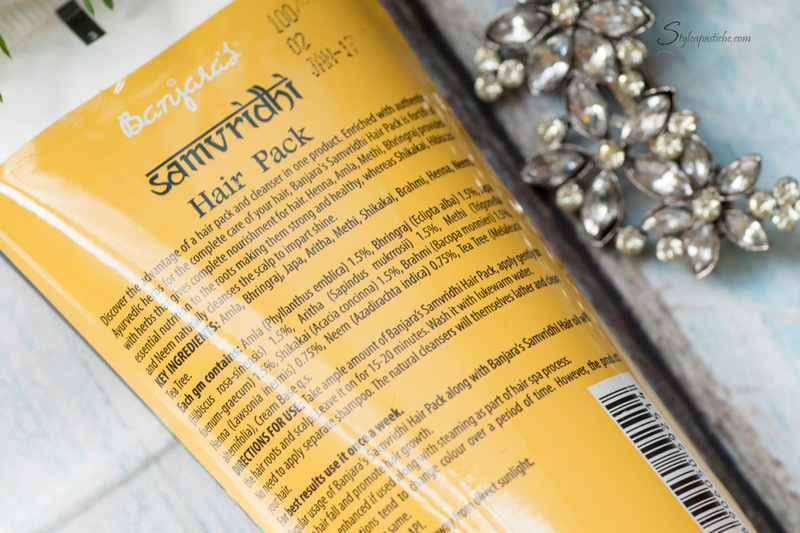 The literal translation of the sanskrit word Samvridhi means to flourish or grow, which is exactly what the products promise. 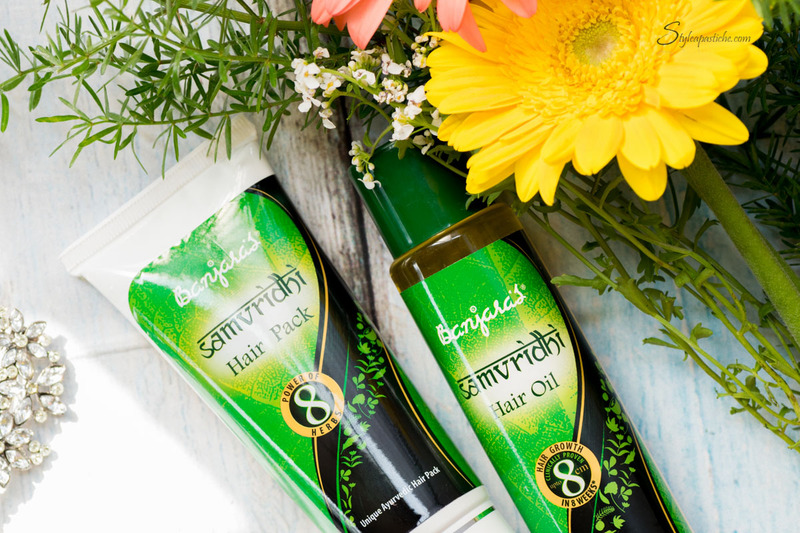 It claims that with the nourishment of 8 herbs for 8 continuous weeks you can witness up to 8cms growth. The Power of 8! 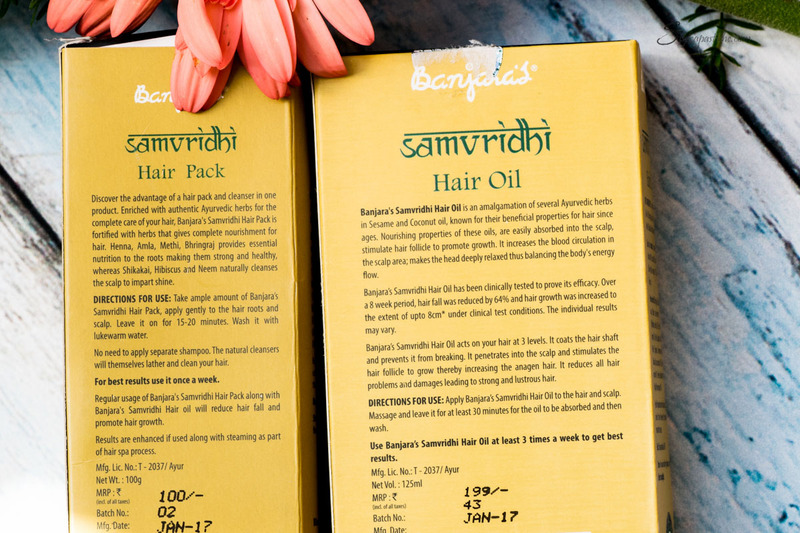 Both come in a separate outer cardboard carton and a plastic container which consists of the hair oil and the hair pack. The Hair oil plastic bottle has the with a twist around the cap, while the hair pack comes in an easy to squeeze tube and a twist cap too. At drugstores and supermarkets around you, also available online with popular e-retailers. 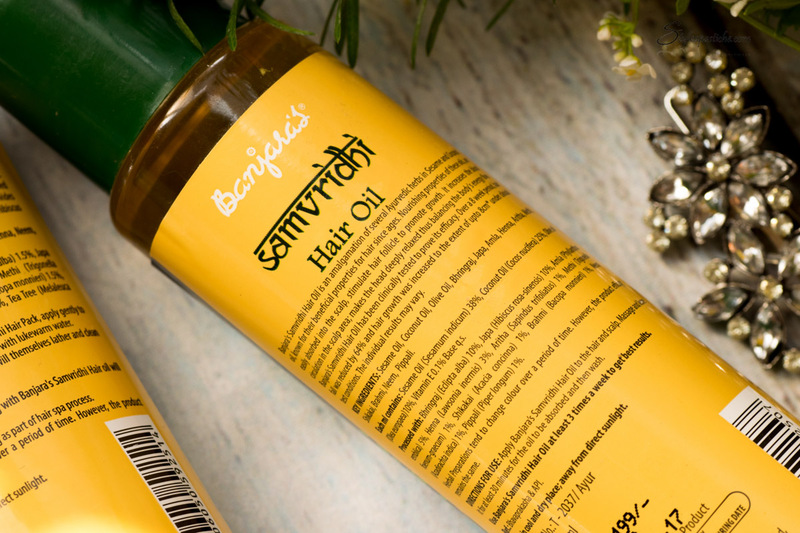 Hair Oil – Sesame Oil, Coconut Oil, Olive Oil, Bhringaraj, Amla, Japa, Henna, Shikakai, Brahmi, Neem, Aritha, Peepali and Methi. The Hair oil is to be massaged into the scalp and hair at least before 30 minutes of hair wash. Since I have dense, dry and wavy hair. I usually leave it for about an hour, with a 10-minute steam session that lets the pore open up and absorb the oil. This helps to manage the frizz and baby hair. After which, I applied the hair pack and let it sit for about 20 minutes and washed it off. Since the hair pack also acts as a cleanser, I didn’t have to use an additional shampoo. If you have oily scalp then you might have to use an additional shampoo, I guess. Pocket-Friendly and is available at any drug store or supermarket. 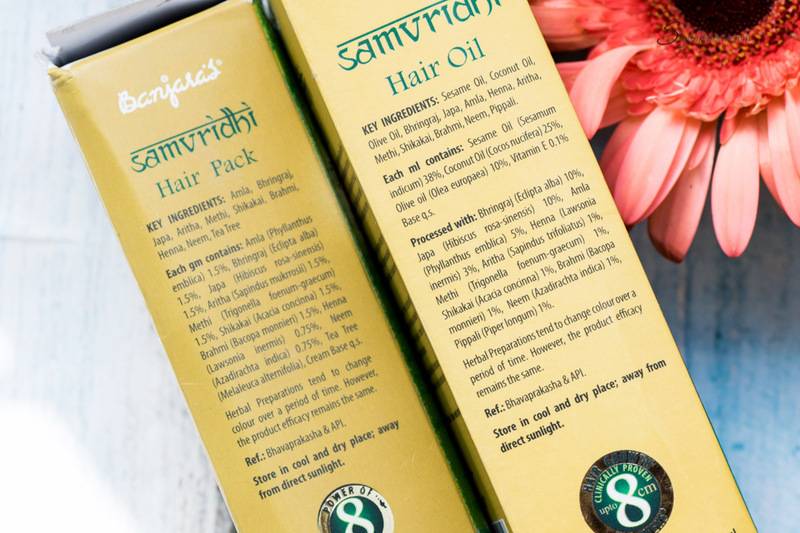 Both hair pack and hair oil nourish your hair from root to tips, together making it a comprehensive combo. The hair pack multi-tasks as a cleanser too, warding off the use of an additional shampoo. 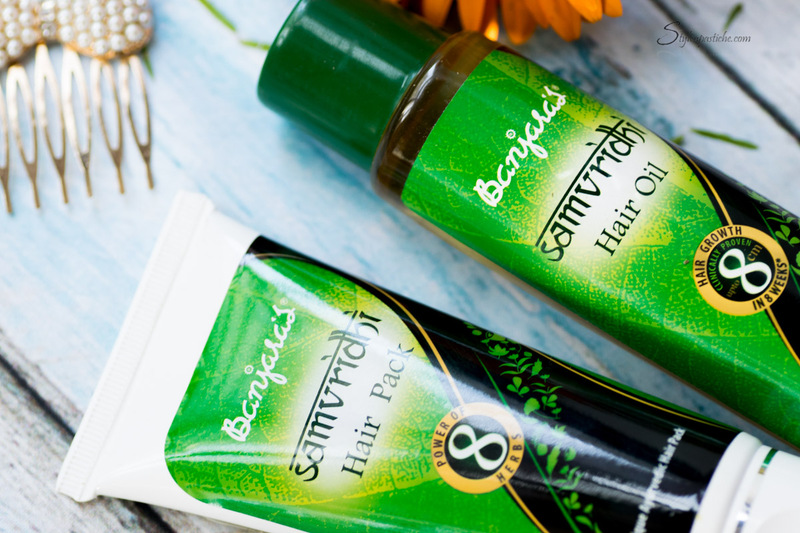 Makes for an easy and quick DIY hair spa at home, to meet the rush hour deadlines, yet look all put-together. Both the oil bottle and hair pack tube are travel-friendly, spill proof and shatterproof. Might not be suitable for oily scalp types. Fragrance might be off-putting, for some who aren’t fond of natural raw scents that aren’t floral. The cleanser’s ingredient list shows that it is cream based, which usually might contain paraben. This isn’t mentioned anywhere, but neither is it mentioned that it is free of Paraben or PABA chemicals. Next Post Love for nature! i needed this like anything. Thanks a ton for this article.